The proper maintenance of your pressure washer equipment will keep it working at its best for a long time. It is also equally important that this will be done properly as incorrect maintenance procedures will do more damage to the machine instead. Different models require different types of maintenance work. Generally, gasoline-powered pressure washers need more maintenance than their electric counterparts. Before anything else, it is important to check the owner’s manual for detailed steps on keeping the machine running well, when to schedule maintenance, and proper usage to prolong its lifespan. Gasoline-powered pressure washers, such as this gas-driven belt-drive Hotsy washer, makes heavy-duty cleaning easier. Flushing the washer pump after every use can get rid of mineral buildup and corrosion. These conditions can easily wear out the pump seals and pistons, which could easily cost you at most $200 for repairs. With a can of lubricant or antifreeze solution, attach it to the garden hose port and upon pressing the trigger, wait until water and lube go out of the other port. Regularly replace the engine oil. 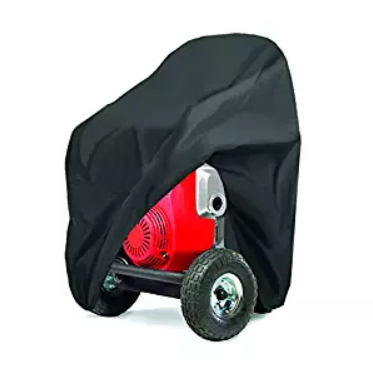 This way, the engine of the pressure washer will have sufficient protection during storage and will prepare it for the next time it will be used. Use only the recommended oil by the manufacturer for viscosity and type so as not to damage the engine. It is also recommended to use fuel stabilizers as these have anti-corrosion additives. Make sure to keep the air filter clean. Some models may come with reusable foam filters while others use disposable ones. Refer to the manual on how to properly clean the filter. Check the spark plug for any damages such as cracks or burned electrodes. Make sure to clean the surrounding area as well to prevent any debris from getting into the engine’s combustion chamber. Operate the pressure washer in a well-ventilated area, preferably with few obstructions. Make sure to keep the pressure washer in a dry area and away from the elements. Exposing the machine to extreme temperatures will increase the likelihood of it being damaged. You may also want to cover it to avoid moisture buildup. After cleaning, thoroughly wash and dry the pump to avoid any buildup. Using soap-based cleaners can dry into crystals if not thoroughly cleaned. Additionally, leaving water in the pump can cause mineral deposits to form. If you prefer to leave the fuel in the tank before storing the pressure washer, it is recommended to use a stabilizer to avoid acid and gum deposits from forming. Another option is to drain all the fuel from the machine. If you own a gasoline-powered model, you can surely avail of our pressure washer maintenance services in Colorado Springs. We know that you only want the best when it comes to maintaining your equipment, and we can proudly say that you’ll find our services to your satisfaction. Contact us so we can arrange your next machine maintenance. Want to find out more about our preventive maintenance procedures? Check this out so you can get an idea of how things will go during this process. If you’re also looking for Colorado pressure washer service and repair, look no further since we offer repair services as mentioned here. We are proud to say that we offer one of the best pressure washer repairs in Colorado s(../hotsy)prings.